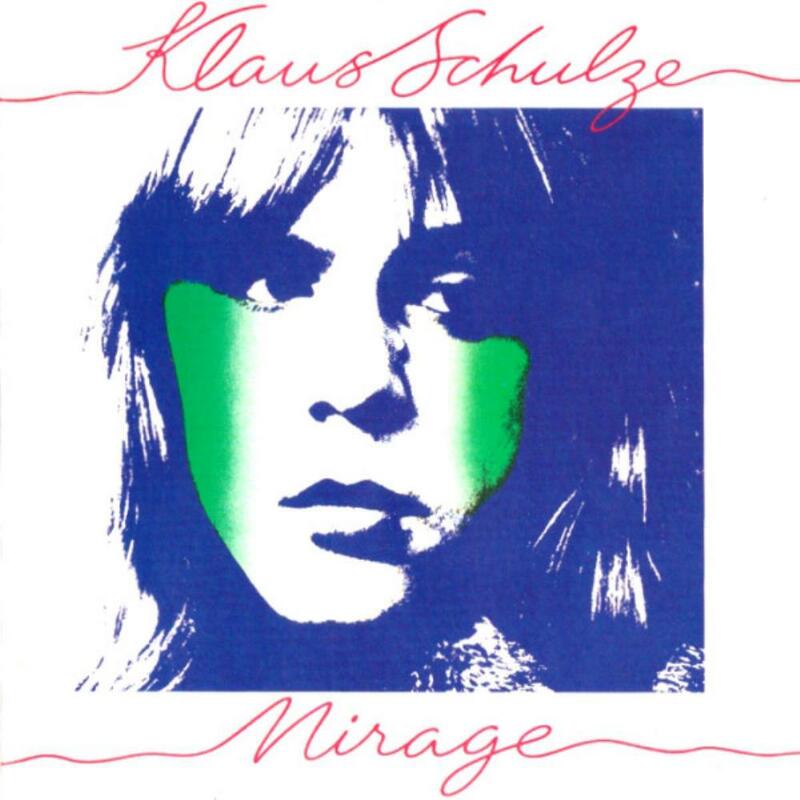 Some thoughts in the liner notes from Klause : "...I wanted to do something completely different with "Mirage" and exclusively work with sound layers.This is somewhat the same as what I had done with "Irrlicht" back in 1972. With both records I had the idea to create a more abstract music in order to show in which direction my music could move in the future.The basic idea was was to create an electronic winter landscape. Now here I must also add that at that time my brother was dying,and I was in a very sombre mood which I think is reflected on "Mirage". The record also reflects themes such as Ice Age, Winter, stagnation and death. But that didn't really become clear to me until later because I had never made a record with a concept in mind beforehand. I would usually just start with a track and then let it develope out of itself. It's like writing a diary, you always write how you felt at that particular time. Looking back today I can absolutely tell you that every one of my albums mirrors how I felt then, and what I had in mind". Klause Schulze November 2004. "Velvet Voyage" has some of the greatest moments in Klause's dicography. This is dark, cold and spacey. It gets quite eerie and tense 4 1/2 minutes in.The intensity and fear breaks after 6 1/2 minutes.This is an amazing soundscape. Unbelieveable.The haunting mood continues though and that hopeless feeling starts to return after 10 minutes.The cold sounds are just sweeping across the icy soundscape. It sounds so lonely here. After 13 minutes we get what sounds like light keys playing repetively while the solar winds continue to gust. Another sound joins in that could be farfisa organ.The last 2 minutes are very heavenly as it seems to fade into nothingness. "Crystal Lake" opens with a cool synth melody, more synths arrive 3 minutes in. It gets even fuller 9 minutes in. The original synth melody stops 14 1/2 minutes in as waves of sound take over. It becomes haunting 16 minutes in and continues that way until the sound becomes intense as other synths join in around 24 minutes. It builds to a chaotic sound 28 minutes in until it ends. This is one of my favs from Schulze, especially those dark, haunting soundscapes that appear on both tracks. Brilliant.